As the VillageReach Field Officer in Gaza province, Mozambique, I work closely with the DPS (Provincial Directorate of Health) and the EPI manager, logistician, and the medical chief to make sure that the vaccine supply chain is performing in the most efficient way and with high quality results. This requires looking at all components of the supply chain—making sure the DPS provides fuel each month for distribution; making sure VillageReach provides the funds to support per diems for dedicated logisticians and district-level EPI staff to do the distribution and supervision; working with the team to identify cold chain equipment issues and help facilitate repair and maintenance; bringing innovative ideas from the global level to decision makers at the DPS to always strive for continuous improvement; and, finally (and why I’m writing this blog), supporting data collection during distribution and data utilization and analysis afterwards to drive improvements for the following month. 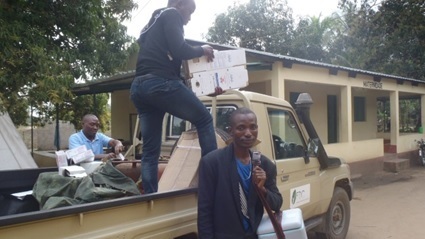 This is the experience that I took with me when I got to go to Zambezia province earlier this month to visit their EPI program and see how they do distribution. With support from UNICEF, they use a similar approach as in Gaza: direct delivery from the province level to health facilities, which ensures equitable access to vaccines at all health posts. Using a dedicated logistician for distribution, this approach skips the district level as a storage unit, which reduces the need and expenses of larger cold chain equipment and reduces stockouts. What Zambezia is missing, though is an upgraded data collection process and dashboard. built on OpenLMIS , is a software application used by dedicated logisticians to collect data directly during monthly visits to health centers, providing more real-time information to better plan distribution and program priorities. 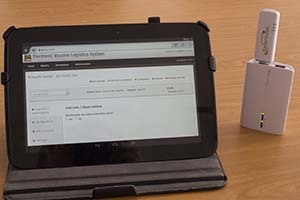 Dedicated logisticians enter the data directly into a tablet, reducing the chance of error when aggregating and sending paper forms. Once internet is accessed, the data is then uploaded onto a dashboard for immediate use and analysis. The dashboard provides a quick overview of how the distribution went—if the team reached all the health facilities, reasons if they didn’t, where cold chain problems are, and more real-time consumption for better planning and forecasting. Typically, it could take up to a month for data to reach decision makers in order to take action. With SELV, combined with direct distribution, that time can be cut down to a couple of days. 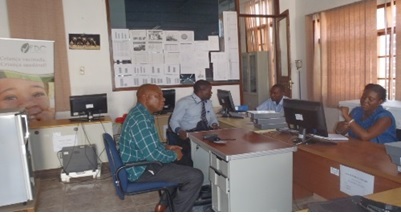 My hope is that this data management system will help make the Zambezia distribution system even better. In Gaza, VillageReach works with the EPI team, including the logistician, to review the monthly reports on routine basis. This has led to identifying bottlenecks and ways the DPS can continuously improve the distribution system. One challenge the DPS in Zambezia identified is not having enough stock delivered quarterly from the national level. Will better, more real-time data help this? 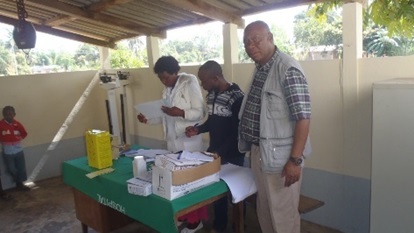 We’ve seen that happen in other provinces– having more accurate data and applying more frequent analysis to monthly reporting can lead to adjusting the required quantity of vaccines at health facility levels to better reflect the reality and actual demand. The goal is more accurate requisitions to the national level, and the national level then fulfilling those requisitions based on true evidence of need. This issue is just one of many improvements that the DPS/Zambezia has in store. Focusing on data visibility and analytics as a key component of the supply chain can only make a stronger, better performing supply chain. 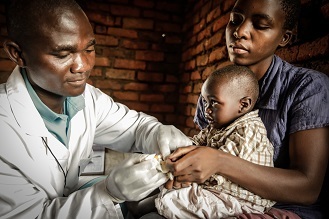 A better performing supply chain leads to increased vaccine availability which can only lead to improved coverage and more children protected against preventable diseases.